Nobody. Not even Gigginstown Stud, who bought him soon afterwards and placed him in the care of trainer Gordon Elliott, at that time rapidly making a name for himself in County Meath. Gigginstown boss Michael O’Leary (Ryanair’s plain-speaking CEO) called the Flat cast-off “a little rat of a thing” and ambitions stretched no further than winning that season’s Triumph Hurdle. Which he did. But that is nowhere near the half of it. 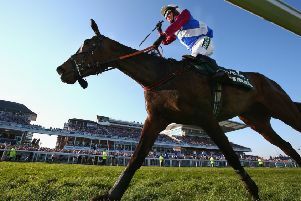 Fast forward three quietish years and he was back in the big-time and he has remained there ever since, winning at three successive Cheltenham Festivals and, of course, trumping even that wonderful achievement with his Grand National victory last April. No horse has won the National more than once since Red Rum (who went on to win a third) in the mid-Seventies and he was, we always thought, a total one-off, not overly big, but clever and nimble, with a happy knack of staying out of trouble. But now along comes Tiger Roll, the tiniest horse you will see among these typically big, powerful staying chasers. A bit of a freak. If Tiger Roll can pull it off again today, he would also become the shortest priced winner of the race for exactly 100 years. And still fresh after barely breaking sweat to complete his hat-trick of Festival victories last month, it seems like he is better than ever. But this is the Grand National, synonymous with dramatic upsets and shock results. There are 30 formidable fences, 39 opponents to beat, or stay out of the way of. It’s a horseracing challenge like no other. A zillion things can go wrong. Old heads, while recognising that Tiger Roll might be the second coming of Red Rum, wouldn’t touch him with a barge poll at current odds of around 4-1, an overreaction they feel, and they will look elsewhere for viable longer-priced alternatives. Even “Rummy” was never that short, winning his three Nationals at 9-1, 11-1 and 9-1, while the average price of the winner this millennium is 25-1. 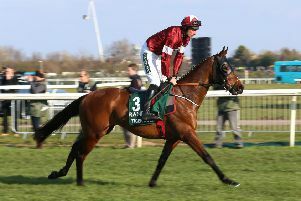 The weights were released in February and Tiger Roll has since been raised 8lb for his Cheltenham win, but there are several others a jump or two in front of the handicapper, including Gold Cup runner-up Anibale Fly and Rathvinden, the comfortable winner of a Grade Three at Fairyhouse. But again, this is the Grand National. A few pounds here or there can mean nothing when one mistake can throw all calculations out of the window. I especially like Willie Mullins’ Rathvinden, who proved he has the stamina for this when landing the four-miler at Cheltenham last year. He’s 11 now, but that’s no age for a potential Grand National winner and he has fewer miles on the clock than most. Last year the Irish dominated with Mullins’ Pleasant Company, Elliott’s Bless The Wings and Tony Martin’s Anibale Fly chasing Tiger Roll home. At least a one-two is on the cards again with Rathvinden just preferred to Tiger Roll, but Scotland could get seriously involved, too, with Lake View Lad and the 2017 winner One For Arthur primed for big shows. Elsewhere on the Aintree card, Roksana might be the value call in the Ryanair Stayers Hurdle. With the undoubted star of the division Paisley Park not in attendance, this Grade One contest looks wide open and Roksana is one of the few arriving in winning form. Dan Skelton’s charge was a fortunate winner of the Mares’ Hurdle at the Cheltenham Festival – with Benie Des Dieux in complete control when crashing out at the final flight – but it was still a fine effort from a mare who has yet to finish out of the first three in seven starts over obstacles. She filled the runner-up spot behind Santini here last April and was not all that far behind dual Champion Hurdle hero Buveur D’Air on her penultimate start over an inadequate two miles at Sandown. With question marks hanging over one or two of her rivals, Roksana looks a solid selection. Us And Them will not be winning out of turn if he lands the Doom Bar Maghull Novices’ Chase. After chasing home now-sidelined stablemate Le Richebourg in two Grade Ones at Leopardstown, Joseph O’Brien’s charge again filled the runner-up spot behind the impressive Duc Des Genievres in the Arkle at Cheltenham. This looks an excellent opportunity for Us And Them to break his Grade One duck. The other Grade One on the card is the Betway Mersey Novices’ Hurdle and Olly Murphy’s Brewin’upastorm gets the nod. He ran with plenty of credit to be fourth in the Ballymore at Cheltenham last month, and none of the first three home reoppose.